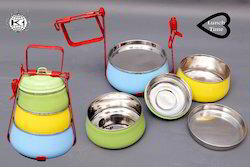 We are a leading Exporter of coloured stainless steel tiffin ware, color tiffins, multilayer lunch box, pyramid printed lunch box ki-ss-pyrd-002, pyramid printed lunch box ki-ss-pyrd-003 and pyramid printed lunch box ki-ss-pyrd-004 from New Delhi, India. 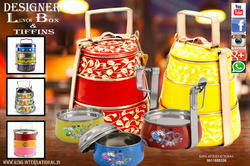 We are engaged in offering fine quality of Coloured Stainless Steel Tiffin Ware. We are engaged in offering fine quality of Pyramid Printed Lunch Box .Multiple size containers are useful to carry food of various quantities. All 4 layers and lids are held firmly together by the separate clamping mechanism. It’s perfect for all carrying lunch while travelling and a great idea for small picnics as this stainless steel product will keep your food hot for long. It has exotic silver shining and it’s Easy to clean. Made from 100% Stainless Steel making them highly durable and resistance to corrosion. We are manufacture, supplier and exporter of Multilayer Lunch Box, which are widely appreciated by our customers for its durability. These tiffins are available in various sizes and specifications. These tiffins are used for purpose of food storage, picnic. It is also widely used for corporate gifting. We are highly specialized firm involved in manufacturing and supplying Pyramid Printed Lunch Box. 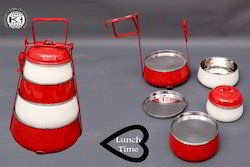 These tiffin wares are much appreciated among our clients owing to their rust-proof finishing and leak-proof design. These tiffins are fabricated in various specifications with the use of advanced technology and fine-grade steel, thus fulfilling diverse needs of customers. We are well-versed entity exporting and supplying best Printed Lunch Box . 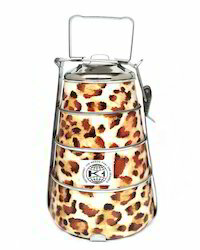 Our offered tiffin wares are widely accepted in the market for high sturdiness and compact in design. 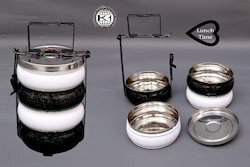 With the designing and fabrication being done as per latest market trends, these tiffins possess excellent thermal capability which results in hot and fresh food for long time. With the support of extensive prowess, we are manufacturing highly demanded Pyramid Printed Lunch Box. Well cherished among our customers for vivid colour combinations and sturdy construction, these are fabricated in compliance with latest market trends. 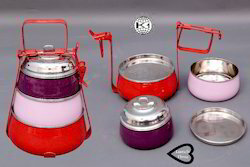 Moreover, with the prime aim of serving vast clientele base, we are supplying these tiffin wares in various designs and sizes as per clients requirements. 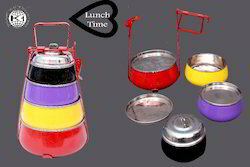 We are manufacture, supplier and exporter of Coloured Stainless Steel Tiffin Ware, which are widely appreciated by our customers for its durability. These tiffins are available in various sizes and specifications. These tiffins are used for purpose of food storage, picnic. It is also widely used for corporate gifting. We are manufacture, supplier and exporter of Coloured Lunch Box, which are widely appreciated by our customers for its durability. These tiffins are available in various sizes and specifications. These tiffins are used for purpose of food storage, picnic. It is also widely used for corporate gifting. 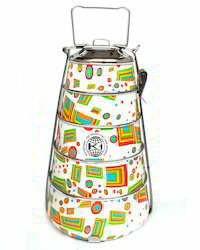 We are manufacture, supplier and exporter of Multilayer Printed Tiffin Ware, which are widely appreciated by our customers for its durability. These tiffins are available in various sizes and specifications. These tiffins are used for purpose of food storage, picnic. It is also widely used for corporate gifting. We are manufacture, supplier and exporter of Coloured and Printed Lunch Box, which are widely appreciated by our customers for its durability. These tiffins are available in various sizes and specifications. These tiffins are used for purpose of food storage, picnic. It is also widely used for corporate gifting. 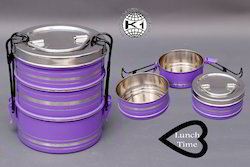 We are manufacture, supplier and exporter of Designer Tiffin Ware, which are widely appreciated by our customers for its durability. These tiffins are available in various sizes and specifications. These tiffins are used for purpose of food storage, picnic. It is also widely used for corporate gifting. 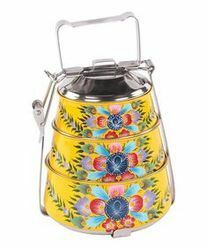 We are manufacture, supplier and exporter of Multicolour Tiffin Ware, which are widely appreciated by our customers for its durability. These tiffins are available in various sizes and specifications. These tiffins are used for purpose of food storage, picnic. It is also widely used for corporate gifting. We are manufacture, supplier and exporter of Multilayer Tiffin Ware, which are widely appreciated by our customers for its durability. These tiffins are available in various sizes and specifications. 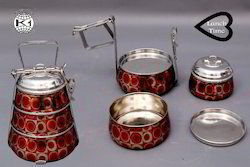 These tiffins are used for purpose of food storage, picnic. It is also widely used for corporate gifting. 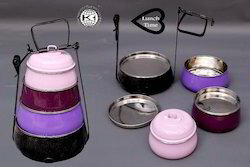 We are engaged in offering fine quality of Coloured and Printed Tiffin Ware. We are manufacture, supplier and exporter of Coloured Stainless Steel Printed Mugs, which are widely appreciated by our customers for its durability. These Mugs are available in various sizes and specifications. 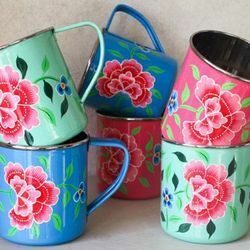 These Mugs are used for purpose of food storage, picnic. It is also widely used for corporate gifting. This microwave and dishwasher safe set is made of supreme quality plastic. The containers in this set can even be used in the refrigerator for storage. 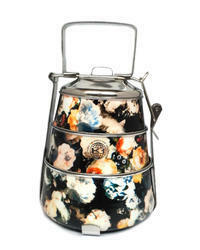 We are engaged in offering fine quality of Printed Tiffin Ware. 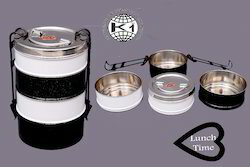 Square Lunch Box Double is extremely usable and handy presentation from the house of King International. It is Square shaped and made of supreme quality stainless steel. This double tier lunch box helps you to carry a fair amount of food if you are going somewhere outside home and it keeps the food fresh too.